An Evison/Poulsen cultivar raised in Gunersey. 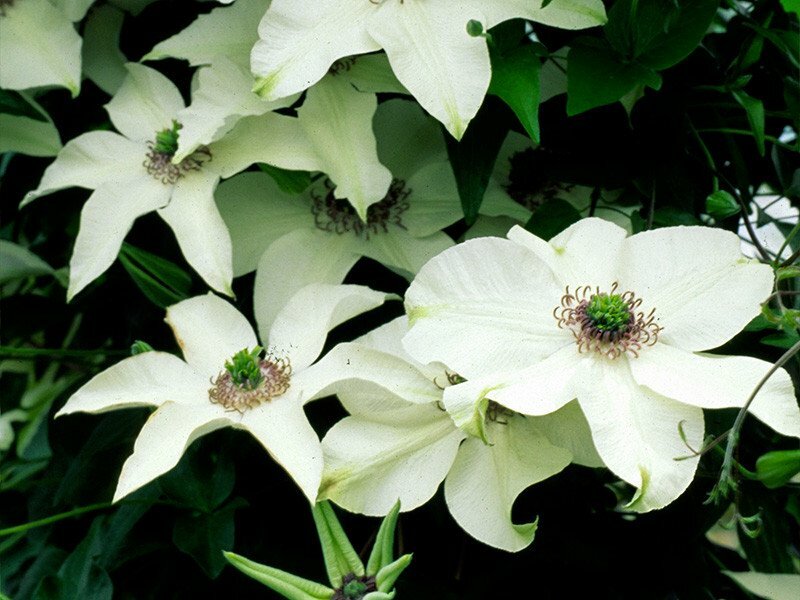 Medium sized creamy white flowers with pinkish grey anthers and a tuft of green aborted stigmas. Its six overlapping tepals produce a rounded flower. An extremely free-flowering variety, it blooms early summer to late fall.